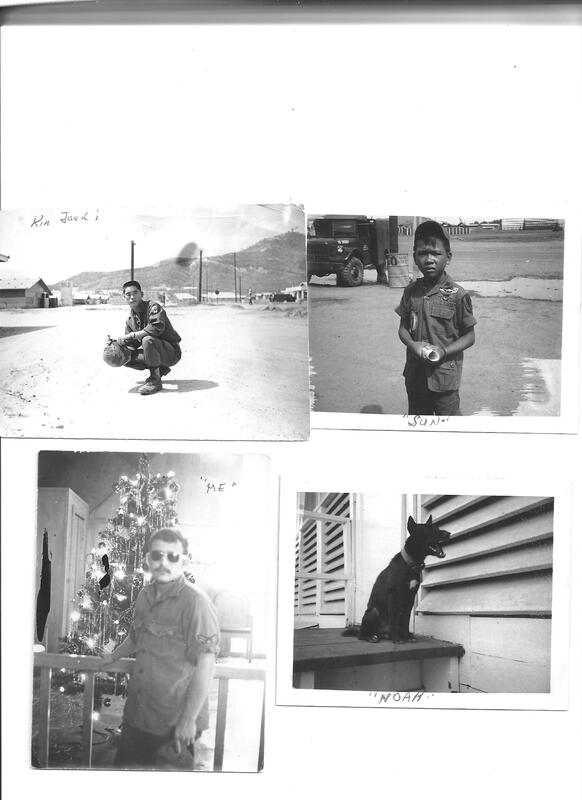 Veterans Day - The Works of Joe Campolo Jr.
As we approach Veteran’s Day, 2017, I am in remembrance of events from Veteran’s Days past. As a Vietnam War Veteran, author and public speaker, I have been honored to address many different groups on and around Veteran’s Day each year. This year on Veteran’s Day I will be signing books at the Veteran’s Art Show at the Pollard Gallery in Kenosha, Wisconsin. 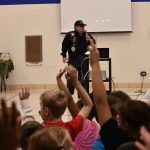 Last year I spoke to the fine students and staff at Grewenow Elementary School in Kenosha, Wisconsin. That was a special event for me because my cousin, Melissa, is a staff member at Grewenow, and even more special; I myself attended Grewenow Elementary School during my youth. 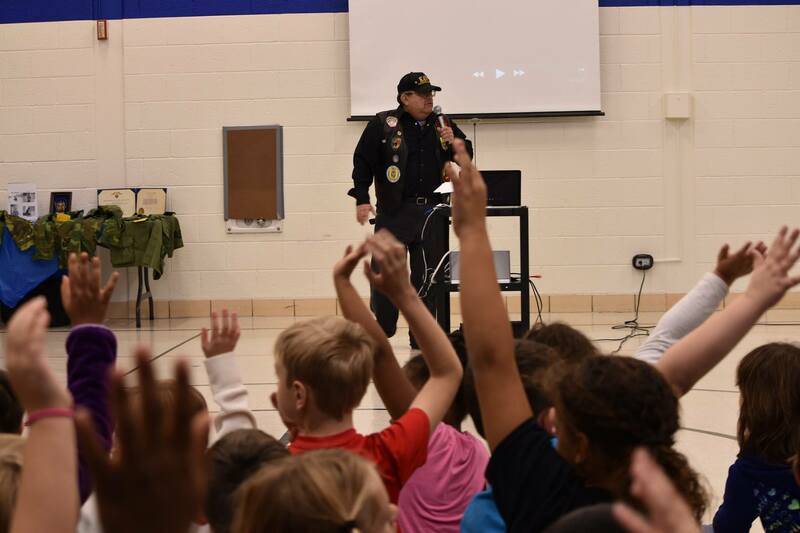 Addressing students at Grewenow Elementary School in 2016. In 2011 I spoke to the wonderful students and staff at Forest Park Elementary School in Kenosha. That was also very special for me because back in 1970 while serving in Vietnam, several students from Forest Park Elementary sent me correspondence and well wishes. Both of my visits to the Elementary schools were well received and an immensely rewarding experience for me. As we approach another Veteran’s Day, I am posting my message to the students at Forest Park Elementary school in 2011. Thank you very much for celebrating and honoring our military veterans on this special day. As a United States Air Force veteran, and a Vietnam War veteran, I very much appreciate your kind thoughts. My brother also served in the military as a member of the U.S. Army. My father was a U.S. Army veteran of World War II, and my grandfather a Navy veteran of World War I. I also had many uncles who served in the military, including one who was killed in action during World War II, so as you see I am from a long line of military veterans. Many years ago at Christmas time, while serving in Vietnam, I received a very kind letter from students at Forest Park school which brought me great cheer. I am using this opportunity to remember and thank those students, as well as all of you here today for remembering us veterans. I had the opportunity to travel to many interesting places while serving in the U.S. military. During my four years in the service I was stationed in Texas, Colorado, North Dakota and California; in addition to Vietnam. My military travels also took me to Alaska, several other states, Hong Kong, the Philippines and Hawaii. I was trained to work in two different areas in the U.S. Air Force; both military supply and field engineering. In Vietnam I worked primarily in supply. One of the most interesting and challenging jobs I had was when I spent a short time working in field engineering. The engineering unit was building a water pumping system for the small village of Phu Cat, who up until that time had no running water. Can you imagine having to walk a long distance just to get fresh water for your home? That is what those villagers had to do, and it was mostly done by the children! It took many weeks, and we overcame many difficult obstacles before the job was finished. But when it was done, the villagers had easy access to water. They were very grateful and their lives were improved because of it. I am including some pictures from my time in Vietnam. One is of me, standing by a Christmas tree at an Army base called Qui Nhon (pronounced kwin yon). Another is of our adopted dog, “Noah”. Noah was a feral or “wild” dog which we took in…he was a real pest and chow hound who was always hungry! Another picture is of my good friend Kim Jun-ki, a Korean soldier who I served with while in Vietnam. 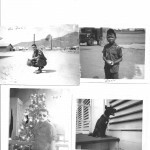 The last picture is of a young Vietnamese boy, we called “Sun”. Sun wandered into the Korean compound late one evening, from the west. We called him Sun, because he walked a long distance with the sun behind him and we could not make out who or what he was until he came very close to the compound. He wore no clothing, was all scratched and bruised, very hungry, very thirsty, and he did not speak. Since no one claimed him, the Korean soldiers adopted him and he seemed to enjoy being with them, as much as they enjoyed being with him. After a short time, Sun began to speak again and we discovered in addition to Vietnamese, he also spoke a little English and French as well. Eventually he was placed with a Vietnamese orphanage ran by Buddhist Monks. We missed Sun very much after he left. Thank you for allowing me to share all of this with you, enjoy your time at Forest Park School and learn as much as you can while you are there. Someday, I am sure; some of you will go off to the military and return as U.S. military veterans. When that day comes, I hope you are fortunate enough to be honored, as you have honored us here today.